Never before has the financial distress of a few million attracted such global attention. From bank executives to finance ministers, the financial future of Greece and its place in the European Union is being discussed across boardrooms and kitchen tables. For Greeks, debt is a four-letter word. It has brought pain and humiliation to a proud people. Still many Greeks believe it's not their fault. The lenders, however, believe otherwise. Lenders and borrowers seldom agree on guilt, even when they agree on the terms of the settlement. How the Greeks binged on debt and why the lenders did not foresee the risks is now up for a global debate that has pitched critics of austerity against those who favour fiscal prudence. 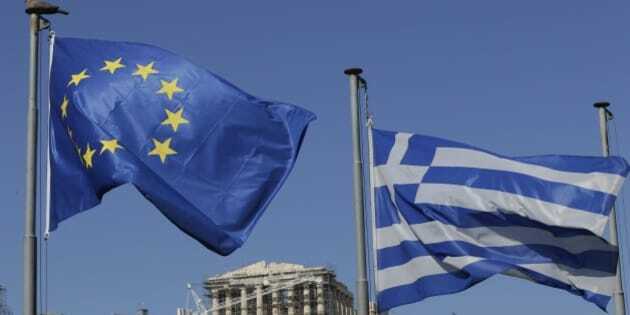 Still, Greece remains a small economy of 11 million people with a GDP of US$238 billion. In comparison, Ontario's 13.6 million people boast a much larger economy with a GDP of C$720 billion. Even at its peak in 2010, the Greek GDP was a tad bit higher than US$350 billion. Similar to Greece, some are also concerned about the Ontario's rising public debt, which in 2013 stood at approximately 40 per cent of the GDP. However, Ontario's public debt level is nowhere near that of Greece, which currently stands at 177 per cent of the Greek GDP. * The figure reports debt in millions of euros. As the Greeks live through a difficult time of uncertainty and financial pain, they are receiving unsolicited advice from a wide variety of economic and financial experts. Some are advising the Greeks to listen to their creditors and avoid rocking the euro's boat. The troika comprising the International Monetary Fund (IMF), the European Central Bank (ECB), and the European Commission (EC) represent the creditors. On the other hand are a small group of highly influential economists, including Nobel laureates, who are advising Greece to shun austerity as it has worsened the economic prospects and imposed extreme hardships. While the two groups seem far apart on what to do with Greece's debt, some consensus has recently emerged. A leaked report from the IMF has found Greece's debt to be unsustainable even if Greece were to comply with the troika's dictates on austerity measures and tax reforms. The IMF report estimates, quoted in the Guardian, revealed that debt would still account for 118 per cent of the GDP in 2030. Staying the troika's course, therefore, will only make matters worse for the Greeks who have already suffered from several earlier waves of austerity measures. The recent coverage of the Greek crisis (Grisis) has largely focussed on the recent referendum in which the Greeks said no (oxi) to austerity. Other coverage has highlighted Greece's possible exit from the European Union (Grexit). Not much has been reported about the spending cuts, layoffs, and changes to pension regulations that pushed the Greek unemployment rate above 25 per cent. Unemployment among the Greek youth is much higher. Starting in February 2010, Greek Parliament passed several waves of austerity measures. The first austerity package froze salaries of government employees, cut bonuses and overtime. A second austerity package soon followed that froze pensions, increased sales and fuel taxes, and imposed further wage cuts on public sector employees. In July 2010, the Greek government increased the retirement age for women from 60 to 65. Later, the retirement age was extended further to 67 years. Violent riots broke out outside the Parliament building in October 2011 when the Parliament passed the another austerity package. The troika, as a condition to receiving a bailout package, asked the Greek government in 2012 to cut wages and pensions of public sector employees even more. The increase in stringent austerity measures choked the Greek economy. This prompted the former Greek finance minister, Yanis Varoufakis, to quip: "Austerity is like trying to extract milk from a sick cow by whipping it." But he was not alone. Joseph Stiglitz and Paul Krugman, Nobel laureates in economics, also agreed with Mr. Varoufakis. "A yes vote would mean depression almost without end," wrote Professor Stiglitz. The Greek tragedy has been in the making for years and "is the result of the bad economic policy that ensures there is no winner in this," said Munir Sheikh, Canada's former chief statistician. "The bad policy is the adoption of euro," he told your scribe in an email exchange. Dr. Sheikh mentioned that the European Union was warned of future consequences like Greece when it adopted a common currency. He believes that Greece has lived beyond its means and staying with euro may not help in the future. He is also not convinced of imposing further austerity measures. "The simplistic remedy to cut spending and raise taxes shrinks the Greek economy further in a vicious circle," noted Dr. Sheikh. What to do then? Dr. Sheikh thinks Greece has a choice. "Grexit, which would solve Greece's [debt] issue but may unravel the bad euro policy." Many in Europe are wary of Greeks leaving the euro. Some would paint a doomsday scenario for Greeks if they were to shun the common currency and default on their debt obligations. Wolfgang Munchau, however, does not buy these scare tactics. He recently wrote in the Financial Times: "What I found most galling was the argument that Grexit would bring about an economic catastrophe, as though the catastrophe had not already happened. If you have been unemployed for five years, with no prospect of a job, it makes no difference whether the money you do not get is denominated in euros, or in drachma." Paul Krugman agrees with Mr. Manchau's assertions. He believes Grexit allows Greece the freedom to chart out its economic and fiscal policies to spur economic growth and increase exports. He also does not believe in a future financial crisis in Greece: "[At] this point that financial crisis has already happened, so that the biggest costs of euro exit have been paid. Why, then, not go for the benefits?"